Since 2000, when Nishmat began educating Ethiopian-Israeli young women of great potential who lack the skills for higher education, about 350 have graduated college. 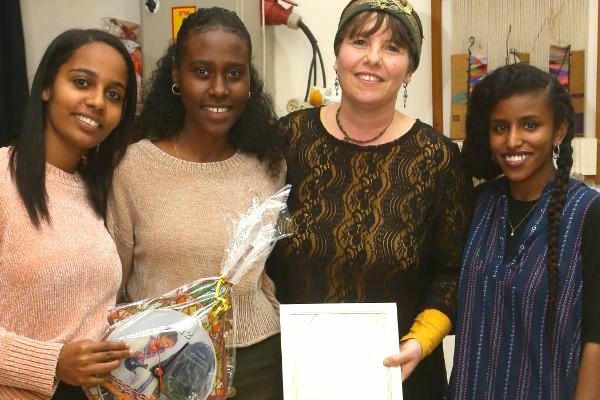 In 2018, the Jerusalem Municipality and Israel’s Ministry of Aliyah & Integration awarded Nishmat their coveted Certificate of Achievement for Educational Advancement of Ethiopian-Israelis. Above, Dr. Esti Barel, Program Director, with students.